Home / Products / Centralised Vacuum Systems. 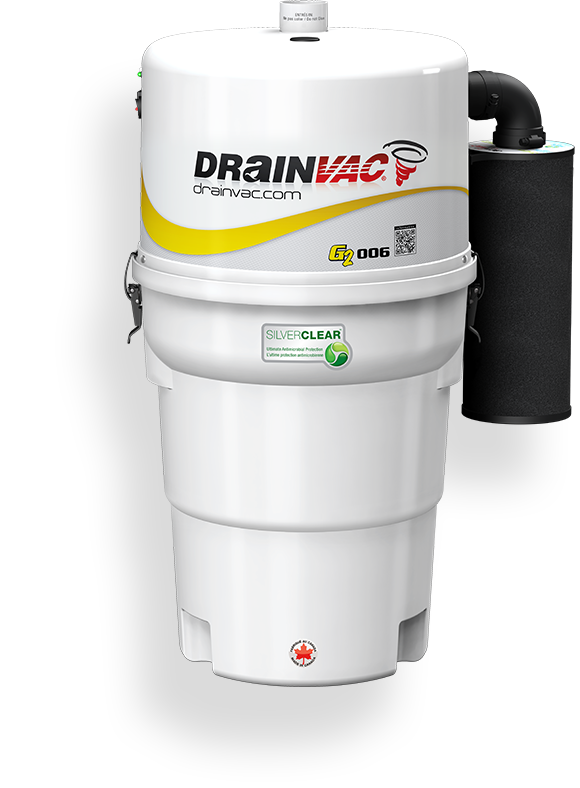 DRAINVAC designed and developed the first vacuum cleaning system with a patented automatic drain. Our units are so powerful that the Drainvac Automatik system can empty a blocked sink in seconds. DRAINVAC offers some of the largest canisters available for central vacuum systems. They are made from polyethylene and parts are made from galvanized or stainless steel: unbreakable materials that do not rust. nstalled away from living areas, noise from the motor is greatly reduced or even non-existent. Some of our models are soundproofed and emit only 58 decibels.